Orders can be placed via phone, fax, email, or mail, see the contact us page for details. We will calculate shipping charges at the time the order is placed. Purchase orders are accepted from educational institutions. All other orders are cash , check, PayPal or MC - VISA. Orders for locations within one day UPS service area are shipped via UPS ground from Oshkosh, WI. The one day service area for UPS includes the ZIP codes that start with 498-499, 520-521, 530-539, 541-547, 549, 602, and 610-611. This includes all of Wisconsin and part of some neighboring states. Fish shipments for locations outside of the one day service area, must be shipped via next day air. Contact us for a quote. Shipping charges are actual UPS charges plus a packaging fee. The packaging fee for fish is $8, for equipment/food $5. UPS shipments of fish are made Monday thru Thursday. Note: Special arrangements must be made when ordering fish over 3" in size, the fins of larger fish make holes in the shipping bags. Orders may be picked up in Oshkosh or by other arrangements. There is a packaging fee for pickup orders. In some cases orders can be delivered all or part of the way to their destination. Charges are determined based on distance, schedule and the number of orders in the area. In order to plan our production and better serve you we recommend that you pre-order fish. 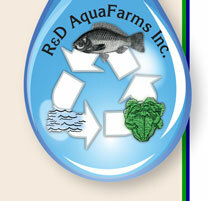 Although we cannot guarantee that we will have the fish you need when you need them, every effort will be made. It is best to pre-order early, as we fill orders from stock on a first come first served basis.